Maximizing capabilities through the use of technology integration, is helping spur wood products manufacturers to new levels of productivity and flexibility in the workplace. 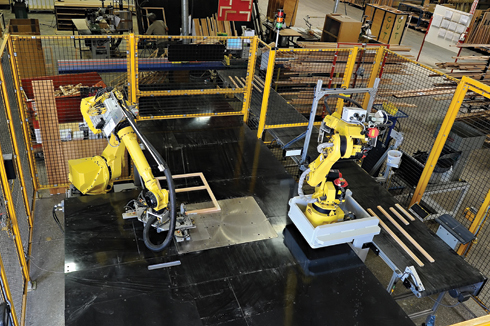 Custom Cupboards, Wichita, KS — With precise accuracy and flexibility, Custom Cupboard’s robotic cell builds face frames for the company’s line of traditional cabinetry. The first of its kind in the United States, the robotic cell has the capability to be used with either bar code scanning or RFID technology. At full capacity, the robots will be able to build as many as 400 face frames a day. The face frames are staged in a queue and retrieved singly by the first robot. After scanning, the robot readies the part for glue application. Meanwhile, a second robot readies to place the stile into the correct position. Once the final stile is positioned, the first robot picks up a sponge and cleans the glue nozzle in preparation for the next frame. Custom Cupboard worked with Stiles Machinery on integrating the cell and RFID technology in the 217,000-square-foot plant. A lean manufacturer, Custom Cupboards offers a full array of kitchen cabinetry, ranging from builder’s lines to full custom, as well as cabinetry for the bathroom and other areas of the house. 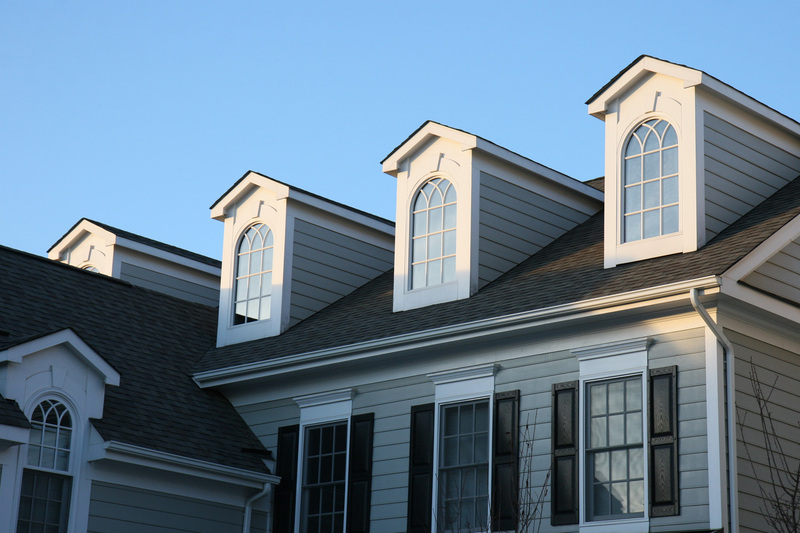 Currently face frame cabinetry accounts for 85% of the company’s production, with frameless the remaining 15%. With its capabilities, Custom Cupboards is able to offer nearly a half-million cabinet options through a combination of species, door styles and available colors. “Technology is driving this ability, allowing us to keep it all managed, give information to customers and supplying us with the information needed for the workers,” says Lance Johanson, vice president of operations. Custom Cupboards uses an integrated system to manage the data, including real-time workflow monitoring and equipment usage. “iConnect controls the shop floor automation. The RFID is just a tool,” says Jason Harris, chief information manager. The company uses the RFID tags to track workflow and in the custom packaging operation, though the usage of the tags is expected to expand throughout the plant. Information from bar codes is also fed into the iConnect workflow software, enabling the company to view the work-in-process at any given time, Harris says. 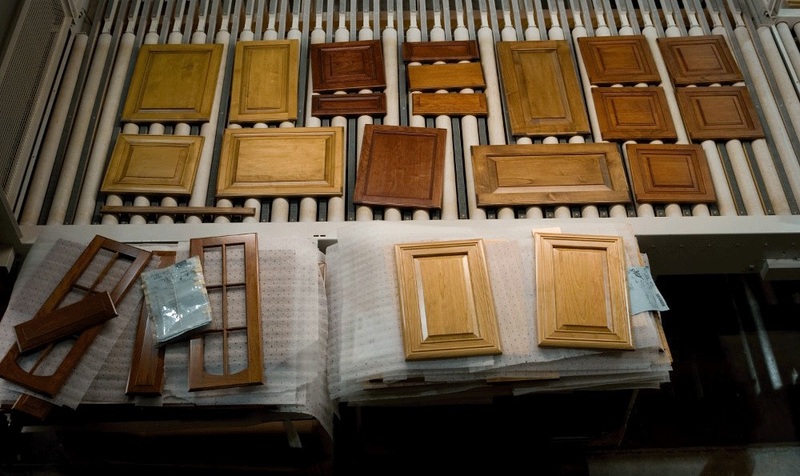 President Wayne Moore says the cabinet door and components company has invested in technology to help improve production efficiencies, resulting in 10.2% sales growth in 2010. Among the new equipment is a Raimann moving blade ripsaw and a Unique shape/sand machine. New machinery, including tenoning equipment, has helped the log and rustic furniture manufacturer continue to improve production rates and increase sales, says Viking President Michael Legatt. The cabinet company is staying on course through recent capital investments, including SCM machinery, says Howard Chun, general manager. Purchases of additional CNC equipment are planned in 2011. New product development and machine capabilities have helped drive sales for the stair builder, says Walter Schwall, president. Continuous improvement, technology and service helped the FSC-certified architectural woodworking firm’s sales grow 106.7%, says Jim Mammina, president. Savvy marketing and increased capabilities helped the cabinet company grow 23.2% in 2010, says President Harvey Boehlig. Recent purchases include TigerStop equipment, vacuum lifts and an automatic case clamp. Topping the list at 166.3% growth, the custom commercial furnishings maker attributes its success to skilled employees, says President Will Fuller. Recent purchases include a vertical panel saw and edgebander, with a CNC router and boring machine on the list for 2011. The laminate components and casework processor grew sales 6.5% and increased productivity through “additional machining capacity and a reinvestment into existing capacity,” says Ed Sigl, vice president of marketing and sales. High levels of quality control and service by Northway’s 125 employees also helped grow business. Owner Bruce Capua says the ability to offer reduced delivery times on stairs and products helped drive sales. Increased productivity and service helped drive the hardwood components manufacturer to 12.7% growth in 2010, says President/CEO Steve Holcomb. In addition to the sander and optimizing saw purchased in 2010, plans are to buy a panel press, moulder and planer/sander in 2011. This closet and cabinet components firm says new technology, including the purchase of an edgebander, has helped it to increase its output, resulting in more sales.